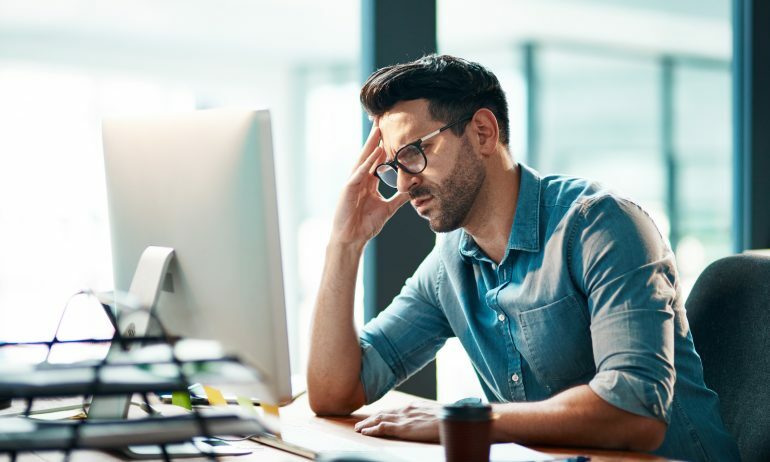 Some credit card mistakes are well-known and easily avoided — like missing a payment and incurring a late fee — yet many people still get tripped up. Other mistakes aren’t as obvious. NerdWallet’s Credit Cards content team talks about common missteps that may cause trouble. Paul Soucy: I got my first credit card in 1989 when I was a college student — a Citibank Classic Visa that had something like a $25 annual fee and a $200 credit limit. This was well before federal regulations really cracked down on credit card marketing on campus. Over the years, that account cycled through a number of products, including the Citi® Diamond Preferred® Card – 21 Month Balance Transfer Offer and the Citi ThankYou® Preferred Card (both no longer available). I didn’t know much about credit cards, so it made no real difference to me. After I came to NerdWallet, though, I started applying for cards that were a better fit for my spending. And I stopped using my Citi card. I had always intended to ask for a product change to the Citi® Double Cash Card – 18 month BT offer, but I never got around to it. In 2018, after I hadn’t used the card for three years, Citi closed the account. My oldest active credit card account went from 29 years old to 3 years old. Before this, I had a credit score in the 810s to 820s. I haven’t been able to get out of the 700s since. When you think about the lengths people go to to protect their scores even from a temporary minor decline — oh no, a hard pull! — it’s ridiculous that I lost a nearly 30-year-old active account because I couldn’t be troubled to pull that stupid card out of the drawer and buy a sandwich with it once in three years. It’s ridiculous that I lost a nearly 30-year-old active account because I couldn’t be troubled to pull that stupid card out of the drawer once in three years. 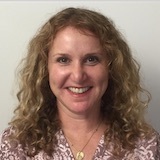 Sara Rathner: You can automate making small charges on an old card by using it for just one recurring expense. Maybe use it for your Netflix subscription or something. That way you don’t have to carry the card around. Greg Karp: That’s a great idea. And put those cards on autopay — direct payment from a checking account — so you don’t forget to pay them because they’re not part of your usual monthly bill-paying workflow. I didn’t put cards on autopay — direct pay from my checking account — until recently. Wish I’d done it sooner. So nice not to have to worry about late fees. But only good if you keep enough money in your checking account that you don’t overdraw it and incur a fee there. Kenley Young: I opened a Target-branded credit card several years back, under similar pressure in the checkout line from an employee who was pitching the “X% discount today!” angle. I proceeded to rack up charges on it, but at almost anywhere other than Target. That’s pretty dumb because the whole reason you’d want that card — the thing that makes it valuable — is the in-store and online discounts at Target, which you obviously don’t get elsewhere. Robin Frankel: I had accounts open at most major department stores in my 20s. … I didn’t know enough about credit cards then to see the potential downside to just opening store cards wherever I shopped somewhat regularly. No one tells you when you open a new account that it will live on your credit report forever — even if you close it. Karp: I had a credit ding after I closed a bunch of old credit cards. I thought I was being proactive — getting new, better cards and closing old ones. This was in the early 2000s, before it was publicly known, at least to me, that closing old cards hurts your credit scores because [scoring formulas] like to see long credit histories. I assumed if you closed cards, you had less credit limit to get into trouble with and that would be a good thing. But that’s not how it works. By the way, those new, better rewards cards are not even competitive today, and I’ve replaced them. But you can be sure I kept those accounts open and use them a few times a year so the issuer doesn’t close them. Soucy: You can “cut up” your physical credit cards if you must, but if you’re concerned about your credit score, leave the accounts open. Young: I spent so much on that Target card that I bumped up against my credit limit several times — also dumb because that was eating up my credit utilization ratio, which was my second mistake. 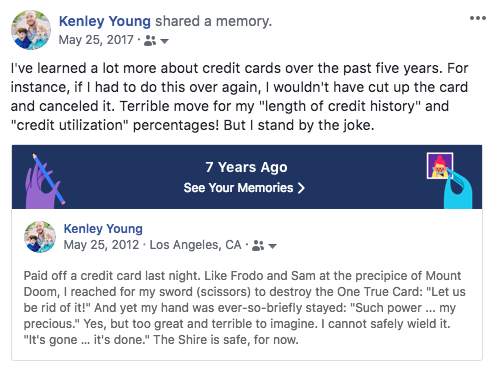 I was able to pay that card off for good in 2012, and I was feeling pretty proud of myself — proud enough to make a joke on social media about how I’d canceled the account entirely. Aaaaaand that was mistake No. 3, because that card was a long-serving account that I should have kept open instead. That Facebook post makes me wince now every time it appears in my “Memories” feed. Rathner: You should share that memory with updated information. You know, a teachable moment. 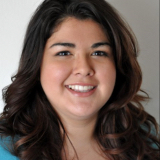 Melissa Lambarena: I also didn’t consider how much of my credit limit I was using. When I was first getting started, I put my credit utilization ratio at risk because I didn’t even know that was a thing. Why would I expect my credit score to suffer when I used the credit limit offered by my credit card issuer? It’s confusing. They offer you a credit limit, but you may get dinged when you use it all. In my experience, I’ve never received a notification, alert or information on my statement that tells me when my credit utilization ratio has increased. Unless you go looking for this information or check your credit score, you probably won’t find out how it impacts your credit and you might keep making that mistake. I also didn’t consider how much of my credit limit I was using. Why would I expect my credit score to suffer when I used the credit limit offered by my credit card issuer? Frankel: My biggest mistake was in not knowing that closing accounts dings your score. … My husband and I closed a few accounts to get cards that were a better fit a few years ago before I started working as a credit card writer and saw the light. I never even knew about product changes, to be honest, before I got card smart. Young: When it comes to applying for cards, churners and travel hackers consider future “upgrade/downgrade paths.” That is, they know it can be important to consider questions like: Does this card give me a path to a better one in the future? If I find out it doesn’t work for me, does it give me the option of switching to a different one with lower fees down the line? But those are not things that occur to the average applicant. It certainly never occurred to me that I could call the issuer and request a product change, rather than just closing the account and starting over. And what did I do after Citi closed my old account? Yeah, I applied for Double Cash. » MORE: Unwanted credit card? Request a product change? Rathner: [The thought of a longtime account being closed by the issuer for inactivity] makes me want to use my old Capital One® VentureOne® Rewards Credit Card. I’ve had that line of credit since I was 18 and never use it now. It started as the Capital One® Platinum Credit Card. Now, here’s where I got stupid: I upgraded to the Capital One® Venture® Rewards Credit Card, but since I was an existing cardholder they didn’t give me the sign-up bonus. I should have just applied for a separate card. I’ve since changed that account to the VentureOne, which has no annual fee. Soucy: I had the Capital One Platinum too! Upgraded to Capital One® Quicksilver® Cash Rewards Credit Card and … didn’t get the bonus. That’s why it was doubly stupid of me not to upgrade to Double Cash — it didn’t have a bonus for me to worry about missing out on. Claire Tsosie: Most of my dumb credit card mistakes have to do with sign-up bonuses. Once, two hotel credit cards were running really good limited-time offers at the same time. One required $1,000 in spending in three months, and the other required $3,000 of spending in three months. I got approved for them at the same time. I normally spend way less than $4,000 in three months on credit cards, but I figured I could get creative and prepay some major expenses. Don’t try to get sign-up bonuses on credit cards if the spending threshold seems crazy high to you. I’m sure a lot of people have made the same mistake. Ultimately, I just ended up earning the sign-up bonus with the $1,000 requirement and missing the other one. I could have spent more time trying to rearrange my purchases, but it felt tedious because I didn’t want to spend money needlessly. I’m still a little bummed out about missing out on that second offer because it was a really great bonus. My takeaway was: Don’t try to get sign-up bonuses on credit cards if the spending threshold seems crazy high to you. I’m sure a lot of people have made the same mistake. Sure, there are ways to make those huge spending requirements responsibly, but you might also either overspend on things you don’t need or miss the spending requirement. Karp: More broadly, it’s a mistake to think there is a single “best” card. More than with most products, the right credit card depends on your spending patterns and what’s important to you. I know that’s not what some people want to hear. We all like simple answers. Friends and family ask me all the time, “What’s the best card to get?” When I got to NerdWallet, it was eye-opening to learn that even its credit card experts carried all kinds of different cards. Just among rewards cards, they ranged from simple cash-back cards to complex travel points and miles cards. This is not a pitch to use NerdWallet to help you choose a card — although I think that’s good advice. It’s to highlight that even though a friend likes his or her card, it could be the totally wrong choice for you. Kimberly Palmer: I used the wrong card for years. My mistake was not believing that credit card rewards were “real” until I came to NerdWallet. My parents taught me to be highly suspicious of “free money,” which is what credit card rewards essentially are. So I ignored the rewards offered by cards that I could have applied for and instead stuck with the same card I had since college, with its low 1% rewards rate. I must have lost thousands of dollars over those 15+ years. Now that I have higher-rewards cards, I know that my parents were wrong. Sometimes there is such thing as a free lunch, and I’m slowly convincing them to upgrade their credit cards, too. My parents taught me to be highly suspicious of ‘free money,’ which is what credit card rewards essentially are. Rathner: Also, don’t be super-aspirational with the cards you choose. Don’t go for a travel rewards card when you don’t travel much, because you’ll be paying a high fee for points you won’t use. Maybe a cash-back card would fit you better. Find the card that meets you where you are. It’s so easy to get swept up in the travel hacking trend, but that’s not for everyone. Palmer: That’s true, Sara. My parents would never go for travel hacking, but I might convince them to at least switch to a 1.5% or 2% cash-back card. They like to keep things simple. Rathner: And if you’re not the type to take advantage of each and every benefit a card offers that gives you more value for the annual fee — airline credit, free Global Entry, priority lounge access, etc. — that $400+ fee just doesn’t make sense. Soucy: I don’t know that this is a “mistake,” per se, but it cost me $20. I bought a piece of furniture for $200 at Wayfair. A week later, I noticed I had an Amex Offer for $20 back on a purchase of $100 or more at … Wayfair. I’m not a big-time rewards hacker, but it would have taken only a minute to scroll through offers before shopping. I’ve invested a lot more time for a lot less money. I’ve spent more time cutting out a coupon for 50 cents, for Pete’s sake. Palmer: I still forget to check offers until it’s too late. On my Blue Cash Preferred® Card from American Express, I just noticed there was an offer for Etsy ($10 back for spending over $40). I recently bought my friend a gift on Etsy and did not think to check for offers first so didn’t take advantage of that. The effort of opting into offers is small but it does require remembering to check before buying. Karp: I’m afraid to even estimate how much I could have saved over the years (with card issuer offers) by just going to an online retailer through a different door, essentially. Few of us have the bandwidth to participate in every loyalty and discount program. Whether you use the credit card offers depends on where you draw the line, I suppose. Some of them seem quite lucrative for little effort, though. Few of us have the bandwidth to participate in every loyalty and discount program. Whether you use the credit card offers depends on where you draw the line. Young: I, too, get overwhelmed by the sheer number of options for such offers — whether it’s your card’s own online bonus mall, or a cash-back shopping site like Ebates or BeFrugal or MyPoints, or a particular airline’s bonus mall. And then you add issuers that do their deals a la carte, like American Express and Chase. On top of all that, all of these sites pay out in different ways and on different timetables. So it’s tough to know where to even start sometimes. Rathner: It’s like these offers have become the new way to clip coupons. Soucy: It’s an aspect of credit card use that many, many people aren’t even aware of. I think too many people have been so conditioned to associate credit cards with debt — with borrowing money to buy things you can’t afford — that they miss out on substantial savings on spending they were going to do anyway. I was going to spend $200 on that piece of furniture at Wayfair either way. If I’d put it on a debit card, it would have cost me $200. I put it on a 2% cash-back card, so it wound up costing me $196. If I’d used the offer from American Express, it would have cost me only $180. Lambarena: I used my first store-branded credit card for quite a while without browsing other options. I had high interest payments at that time because I was just getting my training wheels on. I had learned that credit cards are tools for borrowing. Of course, now I know they are much more. They are credit-building tools, and if used the right way, the rewards you earn can save money. When you do keep a balance, you can do better with a low-interest credit card. I could have saved so much money if I would have taken the time to explore my options. I may have even landed a nice sign-up bonus. Some people may not realize that by playing keep-away they put their credit at risk, especially if they never take the time to build it. Frankel: “Training wheels” is a great way to describe it. I don’t think most people have any idea when they first get credit cards that they’re credit-building tools and not just a way to spend more than they have. Lambarena: This belief that credit cards are meant only for borrowing is what scares people away from them. They are associated with debt, but they don’t have to be used in this manner. Of course, credit cards aren’t right for everyone. It can be tempting to use one when you’re strapped for cash. If you use them responsibly, they can add more value and financial opportunities in the future. Some people may not realize that by playing keep-away they put their credit at risk, especially if they never take the time to build it. It might even delay their financial goals. Rathner: Check your credit card statement before you pay. I almost missed a few little suspicious charges. I only realized what was happening because I started getting magazines I didn’t subscribe to. Someone got my info and started helping themselves to my Chase Sapphire Preferred® Card, but the fraudulent charges were so small that I wouldn’t have noticed. Frankel: Someone used your number to send you magazines? They forced you to gift yourself! We are very diligent about checking statements since someone stole my husband’s number several years ago and somehow made a new swipeable card because we saw charges at gas stations and McDonald’s in areas we didn’t live in. Then they tried to use it at a Best Buy, and it was declined, which is how we found out. Rathner: They also sent me that Proactiv face-wash stuff. You don’t know me! And a Fitbit bought on Black Friday at Best Buy. Frankel: Your thieves were not very smart. If you’re going to steal to buy gifts, don’t give the gifts to the one you’ve robbed. That could be a Hallmark card. Rathner: I’m glad they weren’t smart. I was able to report a few hundred dollars in fraud. May you all only be robbed by crooks who don’t know what they’re doing. A year or so ago, I wised up and stopped paying my cell phone carrier for its in-house phone insurance coverage. I realized I could get it for free with my Wells Fargo card. I even wrote about it. And last weekend, my 5-year-old dropped my phone during a particularly rousing game of “Angry Birds.” Screen smashed. I saved 10% on my phone bill but paid $160 to repair it.